Thanksgiving is a uniquely American, and Canadian, holiday. Traditionally, the holiday was instated to give thanks for the previous year’s harvest and, for some, pay tribute to the pilgrims and Puritans who first settled in America. But nowadays, Thanksgiving is about family and lots of food. Which is exactly why those in the UK could care less about Thanksgiving – why should they celebrate a holiday built around people who purposefully wanted to escape England? So when I was studying abroad in London, we had to prepare the Thanksgiving feast ourselves. 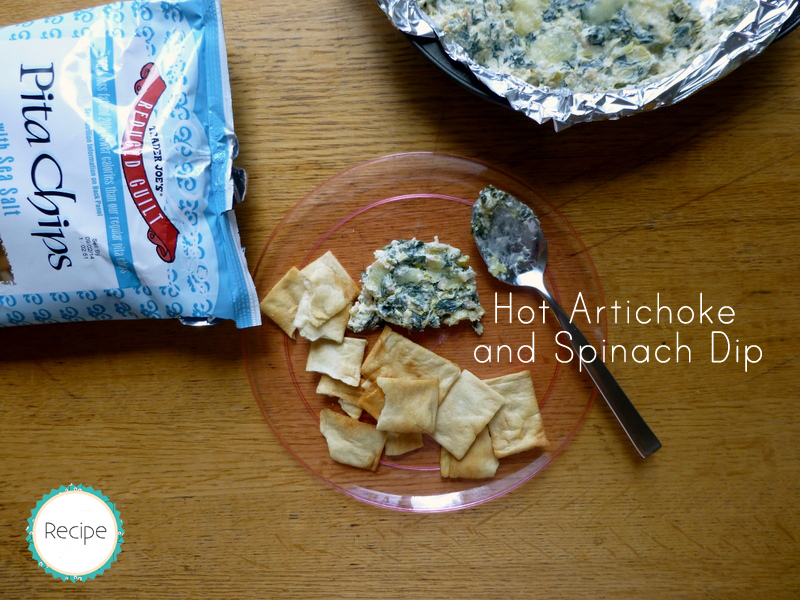 This hot artichoke and spinach dip is my way of rectifying the less than spectacular Thanksgiving meal that I had while abroad in London. 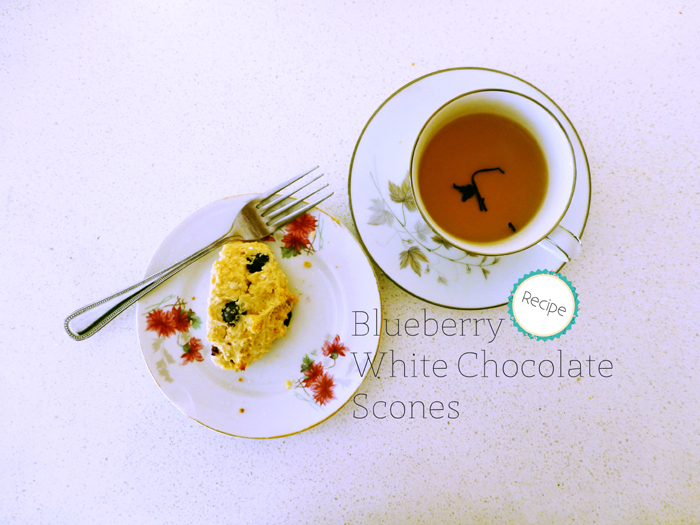 These scones were made out of regret because I had given up my plans for afternoon tea to go visit a football (soccer) stadium. When I was studying abroad in London, the school organized a picture scavenger hunt. Teams were given transportation day passes as a part of the game. I can’t remember the prize, probably a gift card, but I do remember that my friends and I signed up to take part solely for the day passes. We completely disregarded the scavenger hunt and took the opportunity instead to check places off our bucket lists. After a visit to Abbey Road, we all decided to split up. One of my friends, a huge football fan, wanted to go to Wembley Stadium, located a good 30 minutes from Abbey Road and a good hour from Hyde Park, where I wanted to go. He convinced me to accompany him by guilt-tripping me: “It’s been my dream, and I’m going to be going into the army soon.” Also, he promised that he would go to afternoon tea with me after Hyde Park. After an extra-long bus ride, our passes didn’t apply for the zone where the stadium was located, we arrived at the stadium, took the tour, and my friend had his fanboy moments. It’s not uncommon to accidentally receive someone else’s mail. Usually, we’ll just put the letters or package back into the mailbox to let the postman redeliver the mail or deliver it personally. Well, my apartment had an incident a while back where a Hollywood Reporter issue kept coming back to us. The intended subscriber didn’t even live in our building. But every time we sent the magazine back through our resource center to give to the postman, the magazine would show up in our mailbox again. After three weeks, we figured that the subscriber probably already received next month’s issue, and someone made the executive decision to just keep it. My neighbors back in California are some of the sweetest people in the world. My family isn’t exactly very handy, so whenever our fence gets blown down or our gate has a hole, our neighbors are always nice enough to help out. And if I can’t ever find a job, my neighbor always says, half-seriously and half-jokingly, that he could always get me an entry-level job (aka bagging groceries) at Costco, where he used to be general manager. At least I know I have a back-up. Two years ago, my neighbors, through the influence of their daughter, decided to try Forks over Knives. The premise of the movement is that most of the diseases that we face can be regulated or even reversed by controlling our diet. This basically means becoming vegan: no animal-based or processed foods. There’s a documentary about the movement, and people have constantly debated whether eliminating all animal-based products is healthy in the long-run or not. 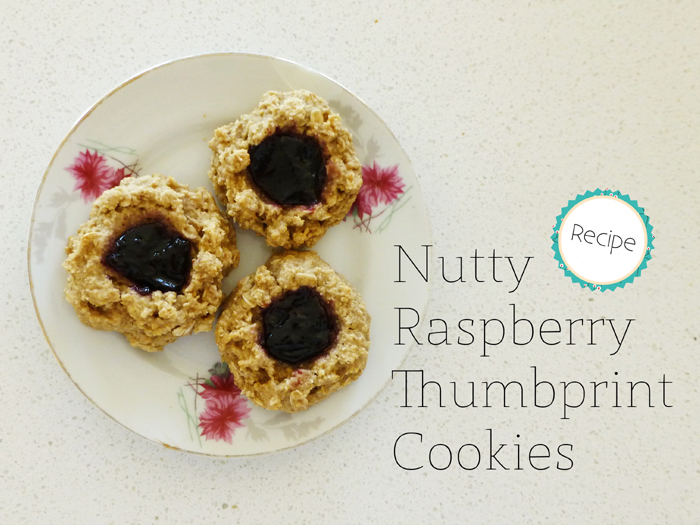 This recipe for nutty raspberry thumbprint cookies comes from the Forks over Knives cookbook. 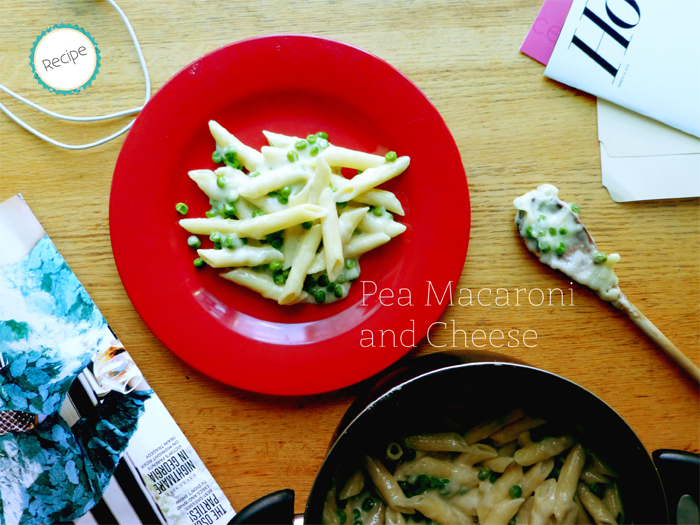 There are some recipes that you just know by heart; recipes that you’ve made so many times that it’s become a waste of time to even take out your cook book or binder. If someone told you to whip up that certain dish, cake, or soup, then you wouldn’t even hesitate. Every ingredient, measurement, and step has been gone over so many times that you’ve maybe lost count. But the look of ease that may make others jealous makes you feel even more at home in the kitchen. 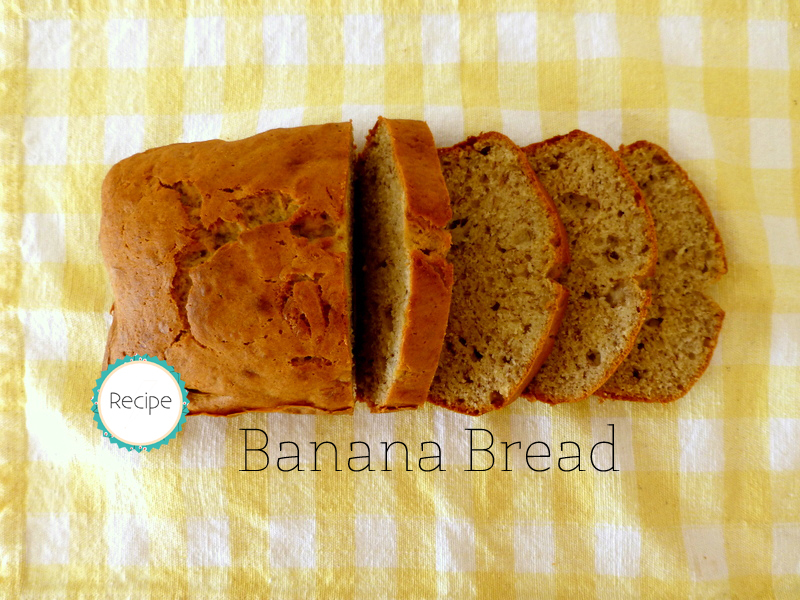 For me, one of those time-tested recipes is for banana bread. I’ve made this moist, fragrant cake so many times for my family, friends, and guests that I’ll turn to my never-fail banana bread whenever I’m in doubt as to what to serve.